Yellowstone Holiday RV Campground and Marina located on the shoreline of Hebgen Lake, 13 miles northwest of the west entrance to Yellowstone National Park and the town of West Yellowstone, offers unique recreational opportunities. Our guests reside in a quiet lakefront setting only minutes from the Park and the bustle of town. We offer a variety of accommodations including new 'Big Rig Friendly' RV full hookup sites, waterfront cabins w/kitchenettes and rustic cabins. Each of our 36 RV sites are full hookups (electric 20/30/50 amp, water, sewer). Our marina includes ramp, docks, fuel and boat rentals. We also have laundry/shower facilities and a small store. 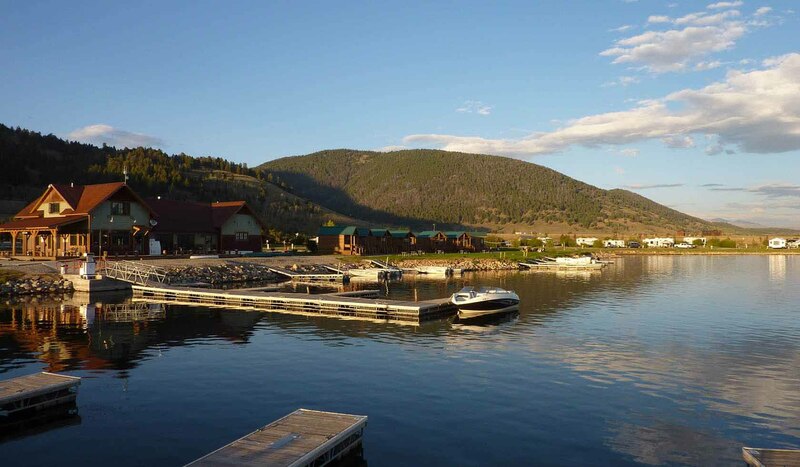 Our guests will enjoy the splendid vistas of the Yellowstone area, viewing wildlife and choosing from numerous recreational opportunities available at the lake and the surrounding area. Yellowstone Holiday provides immediate access to some of the world's finest stream and lake fishing. A small sampling of other activities nearby includes water sports, horse rentals, fishing guides, adventure tours, and hiking trails into the Gallatin National Forest. Recreational opportunities are limitless. A Yellowstone Holiday offers the rare opportunity of quiet scenic lakefront accommodations while still being near all the exciting activities of the area. Experience the feeling!